The event will begin on a Thursday, and end the following Saturday. Students and their families may arrive to Indian Grinding Rock any time between 2:30pm and 5:30pm. There are two locations to choose from to camp. The first is the environmental camp sight which provides the opportunity for students and parents to sleep in traditional Miwok homes or huts. The second is the modern camp ground at the opposite end of the park. Dinner Thursday night it the individual's responsibility. About 6:00pm there will be a meet and greet, followed by campfire time. The following day will begin with breakfast together and activities will begin at about 8:30am. The day will be filled with elements of native life: nature walks, acorn grinding, games, food preparation, basket weaving, tour of the park and museum, along with other native crafts. The evening program will offer moonlight observations of Miwok petroglyphs and camp stories around the fire. Typically for living history experiences participants are required to dress the part. However, given the difficulty of accurate native clothing this is not a requirement. What is encouraged is a shirt with an animal (coyote, eagle, fox etc.) and/or native beads or feather jewelry. Further information on this will be available in the event handbook. Parent participation is required for this event. Children may not participate without an adult family member in attendance. The cost is $165 per student k-12. If there is more than one adult attending per student k-12 in a family there is a $25 fee. Otherwise, there is no fee for parents or guardians attending. Spaces in the Miwok huts are limited. The huts will be assigned on a first-come first-served basis. Each family needs to have their registration complete before a hut is assigned. Once the huts are full, others wishing to attend will be placed in the modern campground. Please note that this event involves large amounts of walking/easy hiking with portions of the trail going up hill. Please come back and visit in August when the date is announced. Trail Bag per student: a plain fabric or leather bag with a long strap to sling over the head and across the body. Food for dinner Thursday night and Saturday morning. If camping in the modern camp ground tent & fire wood. See the IGR Handbook for full list. Contact Shannon regarding your desire to attend the IGR Environmental Living Program. If with a Charter School contact your E.S. or S.T. to sign up for this event with the school as well. A school permission slip may need to be sent to Shannon, please check. If paying privately please send a $15 non-refundable deposit per student to secure spots. 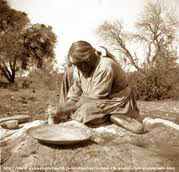 Spend time reading and researching Indian Grinding Rock, the Miwok and other California Natives.